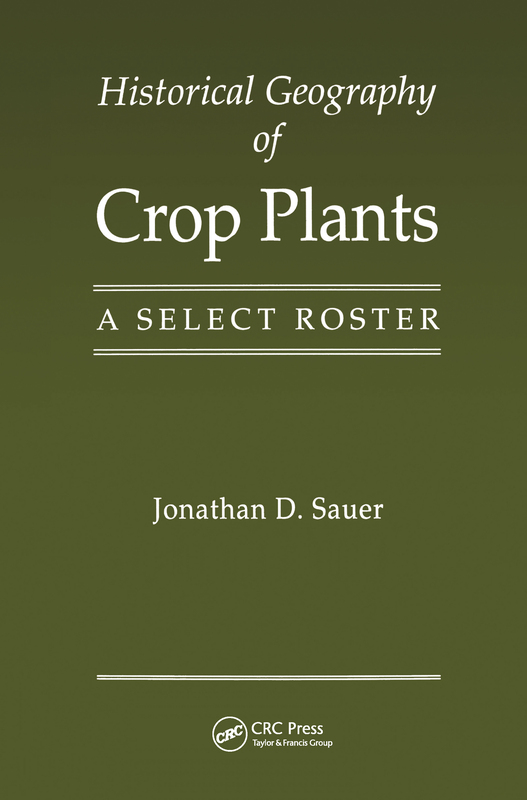 Historical Geography of Crop Plants is devoted to a variety of staple and food crops, as well as fodder, fiber, timber, rubber, and other crops. The origins and histories of many of these crops have been clarified only recently by new research. The book has been arranged alphabetically by family and higher taxa for easy reference. Within families, species and cultivars are listed chronologically and geographically. The taxonomy and geography of probable wild progenitors have been outlined, and archeological evidence (when available) and historical evidence on region and domestication are traced. The subsequent evolution and spread of many domesticated species are examined, and the reasons behind the diversity in crop histories are explored. Historical Geography of Crop Plants will be a useful reference for botanists, economic botanists, ethnobiologists, agronomists, geographers, and others interested in the subject.